How did I get like I am? Who else would have their senior pictures taken in a cave? Other than Maine, I would have to say New York. How did I come to be so crazy about bats and caves in the first place? It all started back in middle school. One summer we went on a camping trip and stayed at the site of Allagash Ice Caves. We had been visiting this site for many years and had always looked at the cave and the first room. But that was our extent of exploring it. This trip however, something about the cave piqued my fathers interest. He had been a caver in previous years, but had dropped the habit before I was born. After this trip he decided to get our family back into it. This was just the begininng that lead to where I am today. We started with caves close to where we live, then expanded our horizons. Now, I have been caving in Maine, New York, Pennsylvania, Kentucky, Iowa, Illinois, Indiana, Wyoming, South Dakota, Montana, Idaho, New Brunswick, and Quebec. 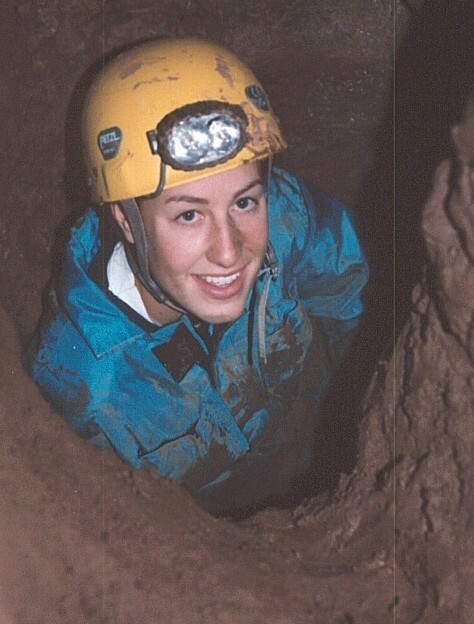 Now I am not only into caving as a sport, but also cave conservation. I am contiually putting forth my efforts to protect these natural resources for the future generations to enjoy. I am working on passing a cave law in the Maine Legislature, just recently I testified on behalf of the law for the Natural Resources Committee.